You already know about J2Store in the previous article. 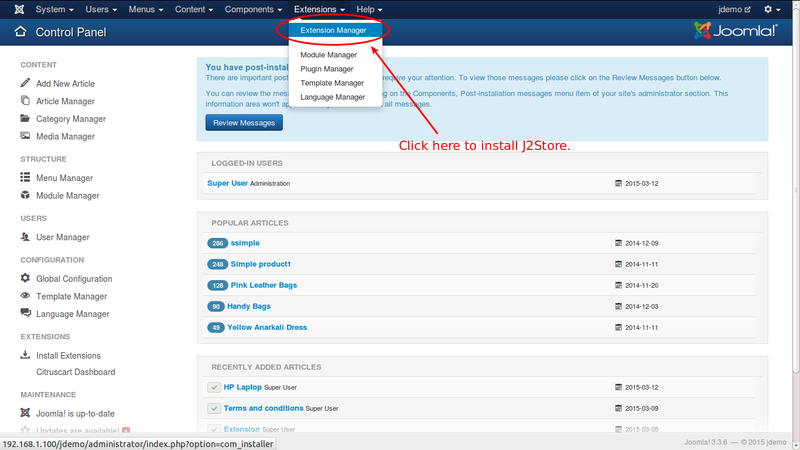 In this post, we will guide you how to install J2Store extension in the easiest way. 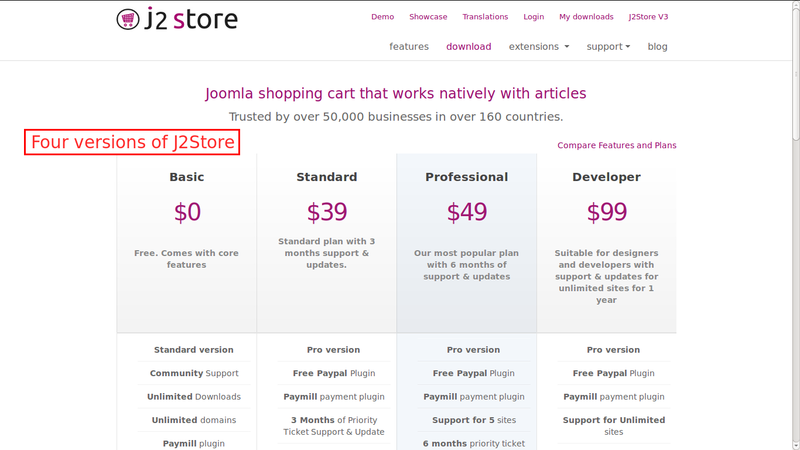 There are four plans available in j2store shopping cart extension. They’re Basic, Standard, Professional, and Developer. You can choose one of them and get a copy of the extension at https://www.j2store.org. 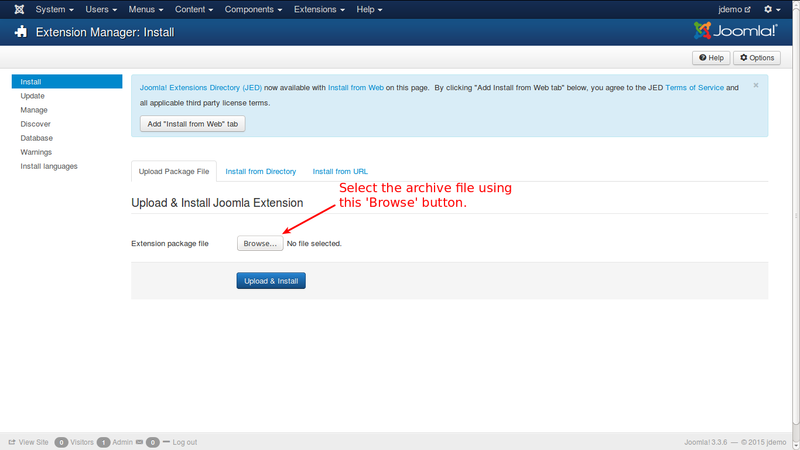 Step 1: Go to Extensions >> Extension Manager in Joomla control panel top menu. Step 2: Select the downloaded / purchased packaged. Step 3: After selecting the package file, you click the “Upload and Install” button. 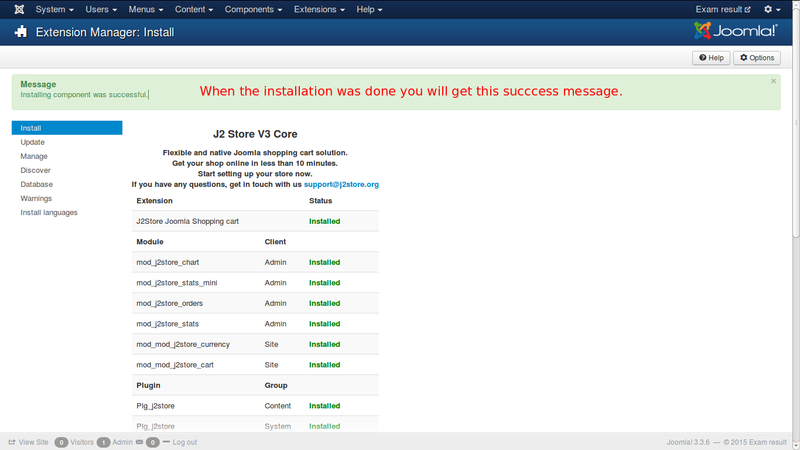 J2Store is now installed and it will send you a success message as the following screenshot. 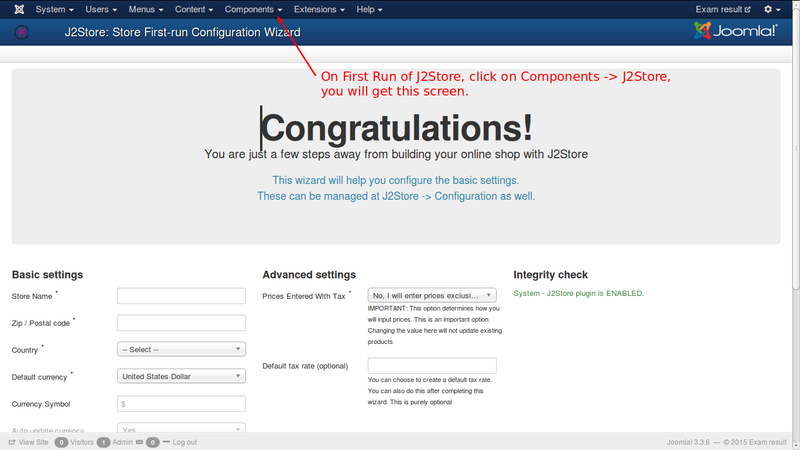 Step 4: Go to the Top menu >> Components >> J2Store. 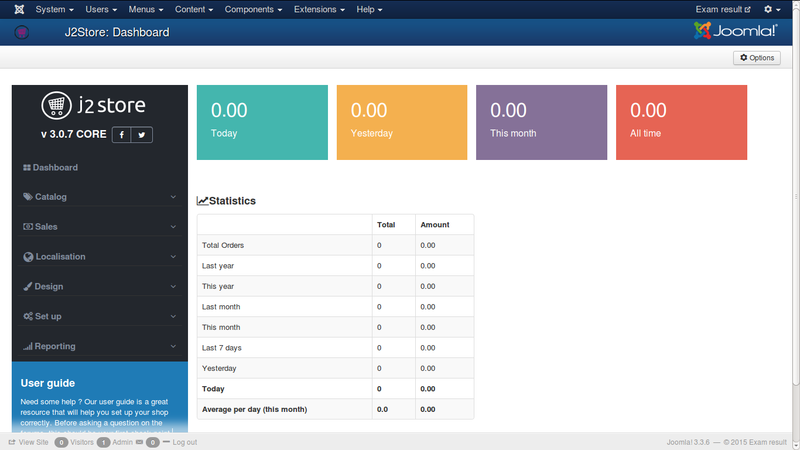 You’ll see the configuration screen as this screenshot. 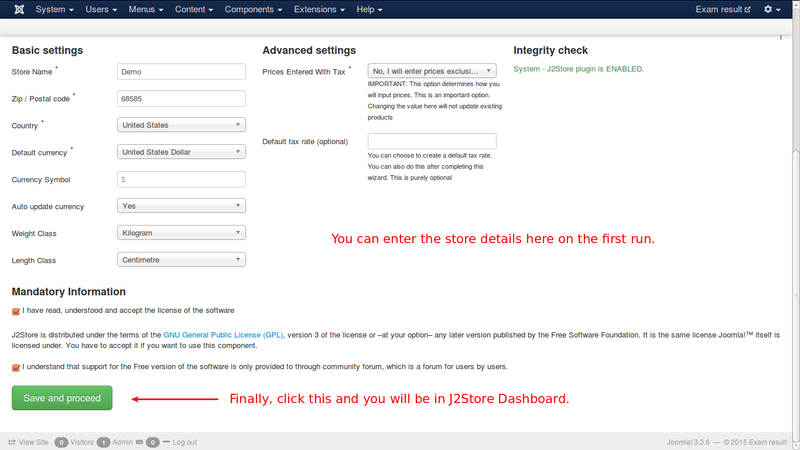 Step 5: Enter the details for your online store as the screenshot below. Then, click on the “Save and proceed” button. 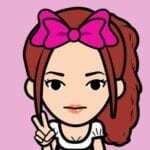 It’ll show you the J2Store Dashboard.